Home > Painting tips from my easel. > This demonstration page. This is part 2 of a 2 part demonstration! If you missed part 1, click here to go back. 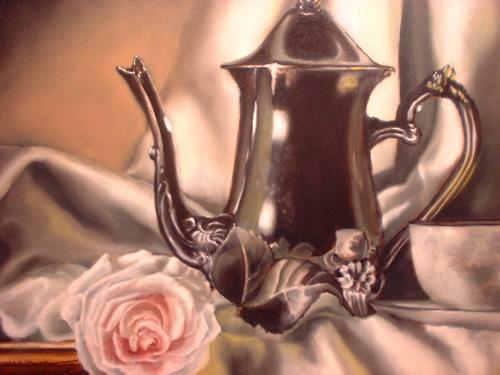 So here we go, our still life with silver teapot and a pink rose for its final color layers. 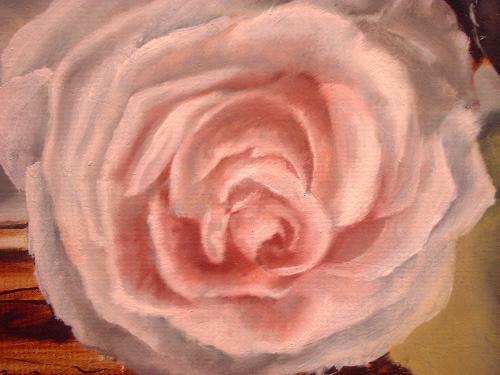 I've blocked in some color for our pink rose. Remember, just enough color to fill in the areas that are well lit. Remember, click an image to get a larger look. A closer view showing the color added. 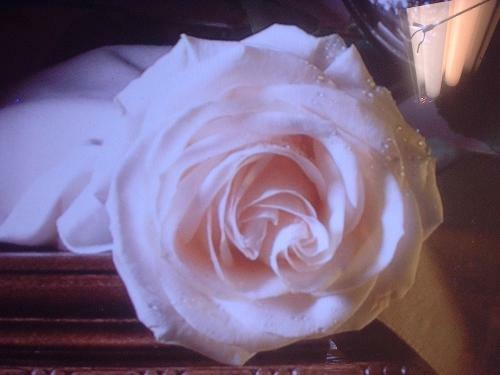 The grey or dead layer is still completely uncovered in the shadows of every petal. Using the dry blending brush, I pull some of the color into the shadow areas, then using the mop brush to hide the brush strokes. A picture of the original Still life. 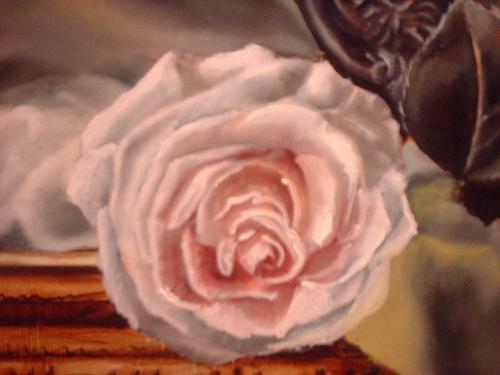 A real close up view of the pink rose. Note the dead layer showing through. I add the fingerprints on the side of the pot. 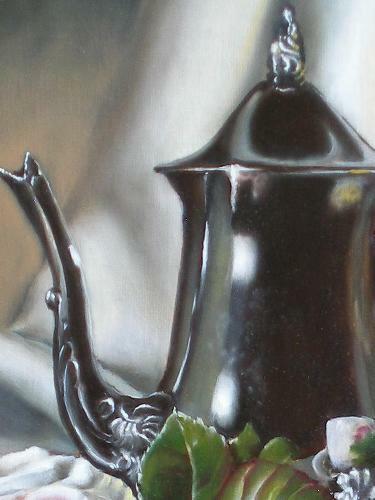 Literally dipping my finger in some gray and smudging a few onto the silver decanter. There is a big jump in photo's from the last to here. 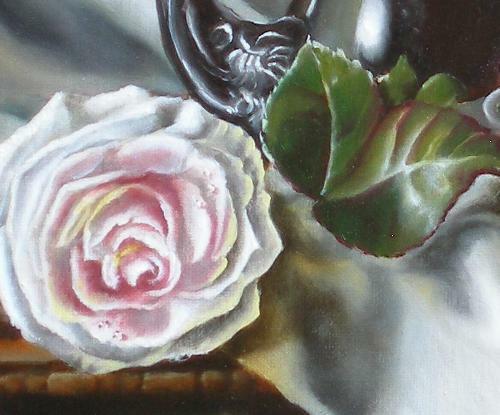 I've added final touches to the rose, completed the leaf. 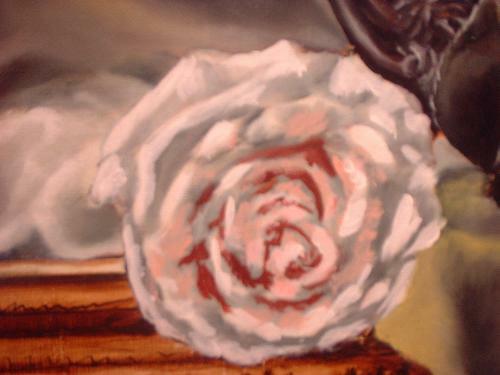 Notice the red added to the leaf, and the orange/yellow added to some of the rose petals. These additions to the cup were literally just a few brush strokes of color and some final highlights! 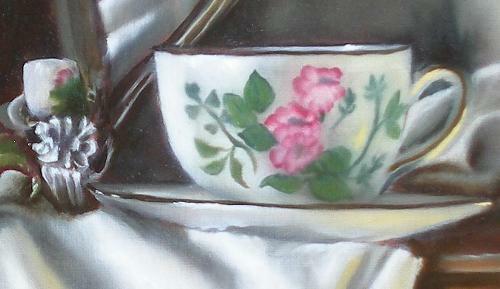 Some final highlights of yellow/white added rather thickly onto the silver pot in the reflection areas only. And the final version. Clicking the picture will enlarge it just alittle bit more. 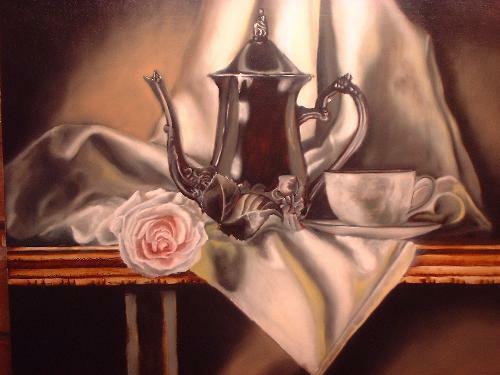 Hopefully you have enjoyed this still life with silver teapot and pink rose demonstration. 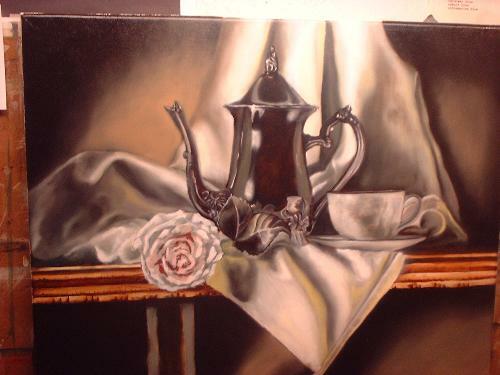 It really can bring your paintings alive by adding some silver or chromed pieces. Try it and let me see how you did. Add your pics to the "your paintings" section of the site! 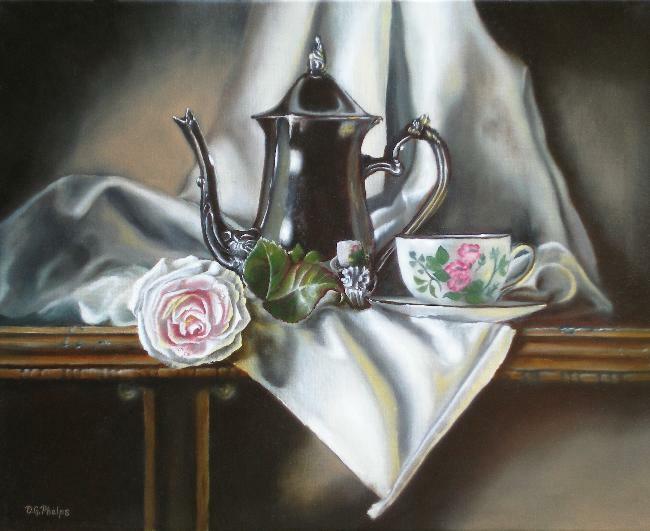 Tea Pot Pink, a still life oil painting. Check for availability here!